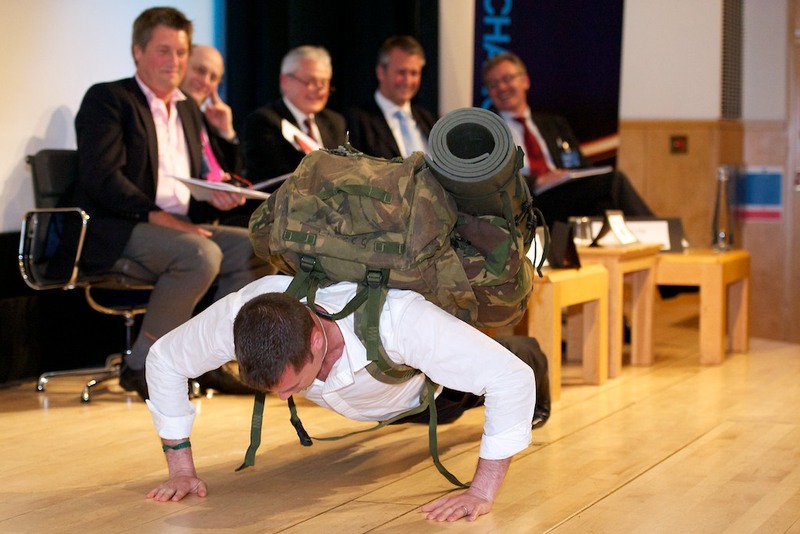 Commando Spirit – Nothing Impossible! As you heard last week at the mallowstreet exchange I have volunteered to take on a challenge of a lifetime and face the formidable “Dunker” this September – A terrifying underwater escape exercise all Royal Marines face as part of their arduous training to gain their green beret. Donate Now. Visit my JustGiving page and make a (very) generous donation towards my £10,000 fund raising target and the Commando Spirit Series’ mission to help raise £6m by 2014 in order to help the Royal Marines in their time of need. Escape the dunker with me at Royal Naval Air Station (RNAS) Yeovilton on Saturday the 17th September and help raise even more money to support our Royal Marines and their families in need. Register at Commando Spirit. Excellent news – Mark Rowlinson (@markjrowlinson) has agreed to Escape the Dunker and I know a few others were very keen to join the action. So what will I be doing in September 2011? Well, I will be trained at the Underwater Escape Training Unit and then I will be strapped into a fuselage and required to escape from a somewhat frighteningly realistic simulation of a helicopter crash at sea, in the dark, upside down, using the correct procedure. I’ve been assured it does not take physical strength – what it tests is courage, determination, fortitude and teamwork, as well as the ability to follow instructions and stay calm! The Royal Marines Charitable Trust Fund helps Royal Marines and their families when they need it most. They aid the wounded and injured. They give quality of life to those returning from operations. And when the worst happens, they support the families of those who die in service. The RMCTF has the widest purposes of almost any service charity – quite simply, the Royal Marines Charitable Trust Fund will help when others cannot.